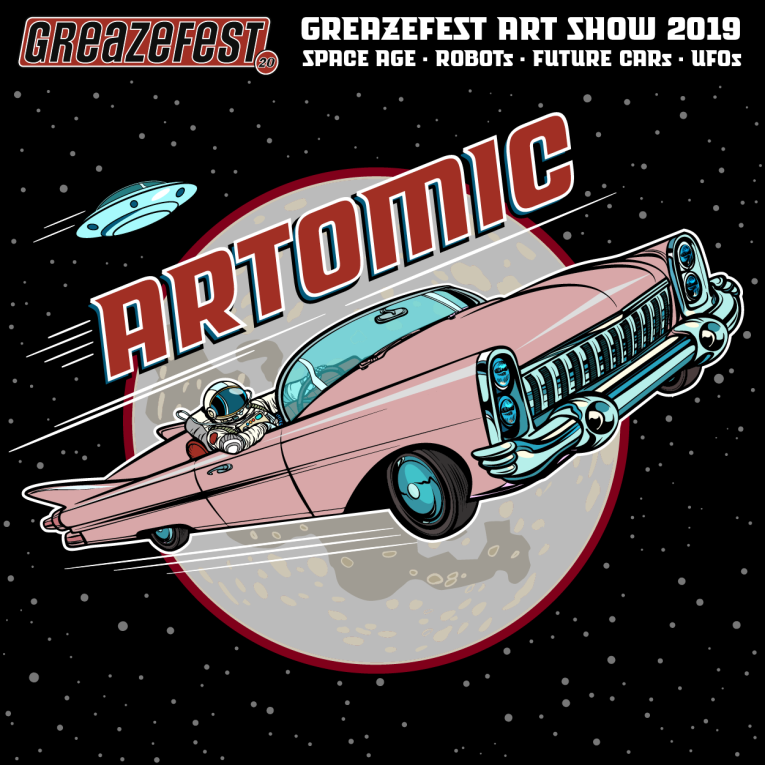 ARTOMIC is an exciting new feature of the 20th Anniversary celebrations at GreazeFest. Cosmic Craft and everything Galactic. Artists are invited to take part in the ARTOMIC Art Show. Pieces can be in medium such as paintings, illustrations, ceramics, timber carvings, photography, sculpture and more. All participants will go in the running for the GreazeFest Artist Award, which will be presented on Sunday afternoon. Please send us an email: - Your name - Brief details of the pieces you wish to display - Size and shape ie hanging, free standing or table top display. Bring your art to GreazeFest on Friday or early Saturday morning, or by other arrangement. Our team will display your artwork and enter your details into the show register. Sell your artwork if you want to. All items are displayed as either 'not for sale' or 'for sale' with a price and your contact details. Supervision will be maintained at the art show by GreazeFest staff. All care but no responsibility is taken by show organisers.